Top Pick - Heavy Duty for Tough Jobs! When it comes to maintaining our yards we want the best tools we can get for our money. It makes sense to buy combo tools or tools that have the ability to interchange with others. The Poulan Pro 967089701 25cc 2 Stroke Gas Powered Straight Shaft Pole Saw/Trimmer Combo is a pole saw and trimmer combo. This gas operated model has been built to provide both power and ease of use to the consumer. It has a 25 cc 2 stroke engine with a SureFire Fuel Delivery System. Not only is this a pole saw and trimmer but it also attachment capable with the Pro-Link to that allows you to use 6 attachments making it a versatile economical choice for home owners. 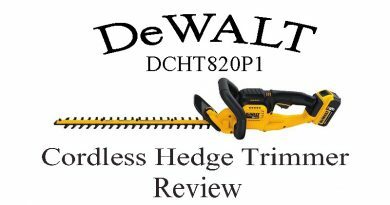 This great feature enables you to blow, till, and hedge trim or prune trees. You can do edging as well as standard trimming. Attachments are sold separately. 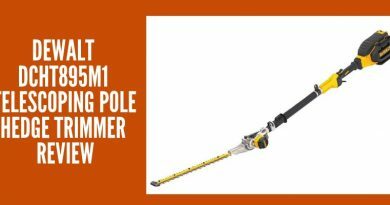 If you would like to learn more about the Poulan Pro 967089701 25cc 2 Stroke Gas Powered Straight Shaft Pole Saw/Trimmer Combo, check out our full review. Before jumping into the full review let’s look at some of the key features of the Poulan Pro 967089701. Has a 25 cc 2 stroke engine. Comes apart for easy compact storage. The first impression of the Poulan Pro 967089701 is that this is a nifty tool to have in the shed. Any unit that has the ability to interchange and allow other heads or tools to use is a win in my book. I love the fact that it is already a combo tool then add the fact that you can attach 6 other implements that is awesome. Let’s not overlook the price either. This can be a really economical purchase for the average homeowner. Granted the other attachments are sold separately it still allows this to be an economical purchase. Being gas operated you don’t have to worry about recharging batteries or cutting extension cords while pruning or trimming. This shaft saw/trimmer combo also breaks down for compact storage. This can be great for small storage spaces or limited room. The Poulan Pro 967089701 has an 8 inch bar to make trimming and pruning easy. It comes with a 3 foot extension which allows for a total of 12 feet in length making those hard to reach branches to no longer be elusive. The overall dimensions of the Poulan Pro 967089701 are 39.8 x 10.2 x 10 inches. So you can trim those hard to reach places or even the not so hard to reach ones a snap. The 25 cc engine is powerful enough that it can tackle most anything you ask of it. The Poulan Pro 967089701 has been built to allow as much ease of use as possible for the homeowner. It has been engineered with the SureFire Fuel Delivery system that can make starting easy as one, two three, simply prime, choke and pull. It doesn’t get much easier than that with a gas operated system. It has a spring assisted starting system for easy starting. What I really like is the air purge system that removes air from the carburetor and fuel system this enables the engine to start easier as there is no air in the system to prevent gas from getting to where it needs to go. The Poulan Pro 967089701 also has an auto return stop switch which automatically returns to the on position to make restarting easier while on the job. Another great feature is that it is detachable to allow the homeowner to store easily away while not in use, braking down into a more compact manageable size. Let us not forget that convenience of having the ability to attach other heads to it. Versatile ability to attach other heads. Warranty can be requested through customer service. The final thoughts of the Poulan Pro 967089701 25cc 2 Stroke Gas Powered Straight Shaft Pole Saw/Trimmer Combo is that this would be a handy tool to have for the average homeowner. It has the power from the 25cc engine to tackle many jobs that most would face in the yard. It has multiple systems in place to make starting easy on you the SureFire Fuel Delivery, the Air Purge System and the return to start. All of this to help ensure that pull starting is not that strenuous hassle most of us have known at one time or another. 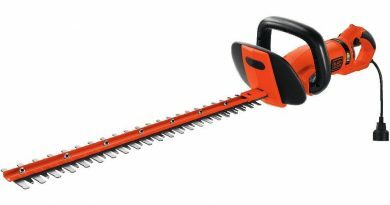 The 8 inch blade and the capability to reach up to 12 feet make this a desirable tool to have in order to prune and trim trees about the yard. 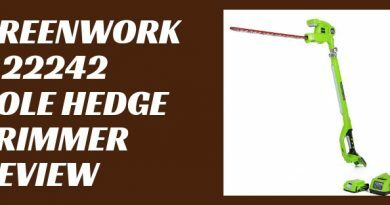 Being both a trimmer and a pole saw it is a versatile tool that can help home owners easily get yard work done without spending a fortune on tools. 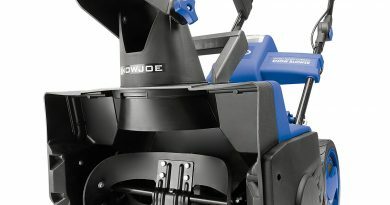 Add all of this to the fact that you can buy other attachments to help you with your work load around the yard whether it is tilling, pruning or blowing. 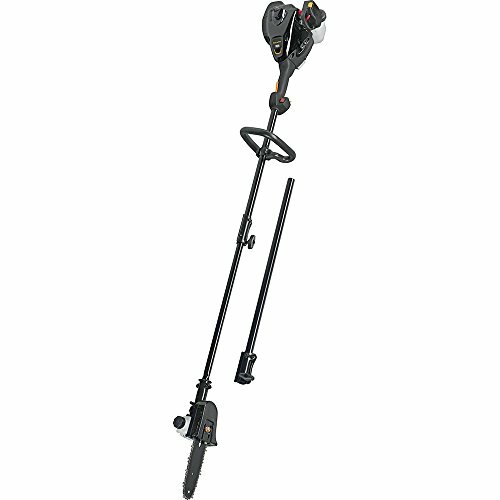 The Poulan Pro 967089701 25cc 2 Stroke Gas Powered Straight Shaft Pole Saw/Trimmer Combo is sure to be a handy to that can be confidently added to your shed or garage to make your yard work needs easier and more economical.